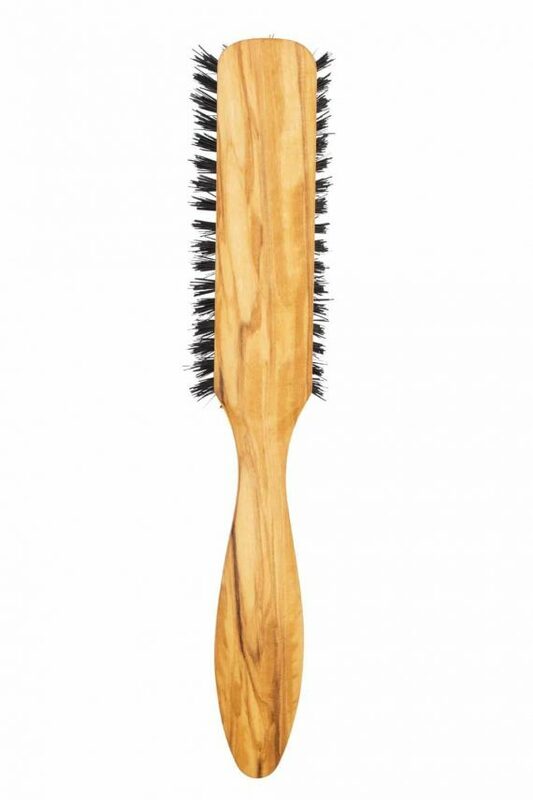 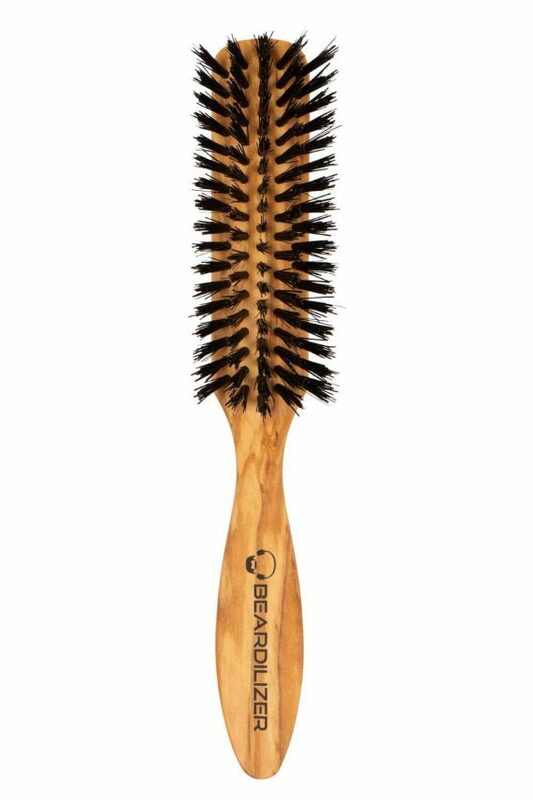 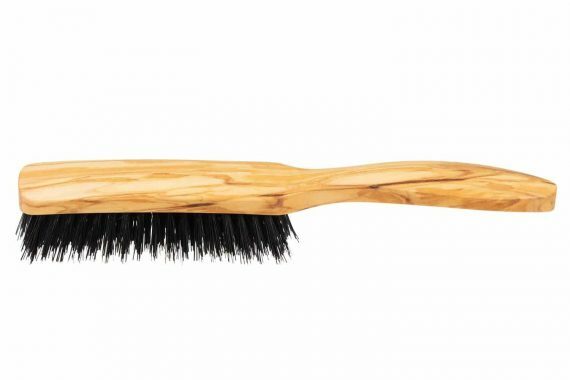 For our brush lovers we are excited to offer the best boar’s hair brush which has been made in France out of durable Olive Tree and all natural boar’s bristles. 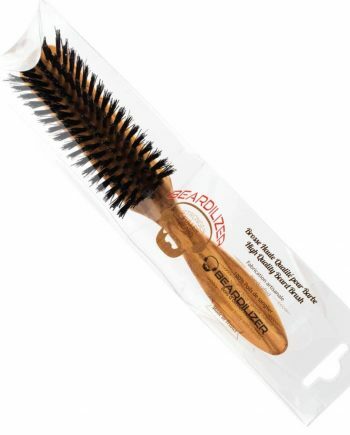 What makes boar’s hair better than synthetic brushes? 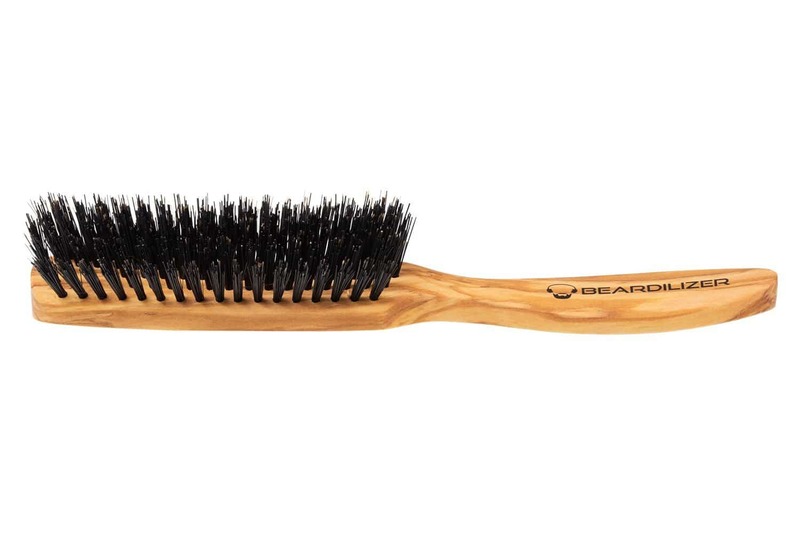 The surface of each bristle is scaly and draws dust and excess product from the hair as you use it. The bristles also stimulates the natural oils (sebum) present in the scalp, and draws them along the hair shafts, essential for keeping hair clean, healthy, shiny, and protected. 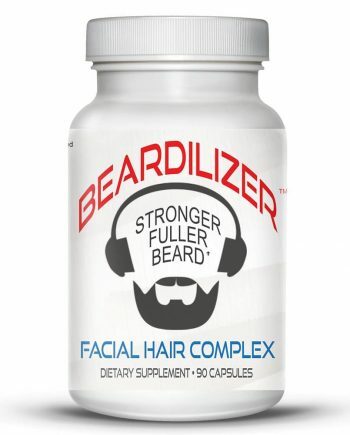 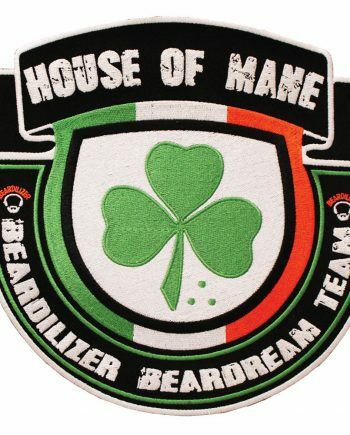 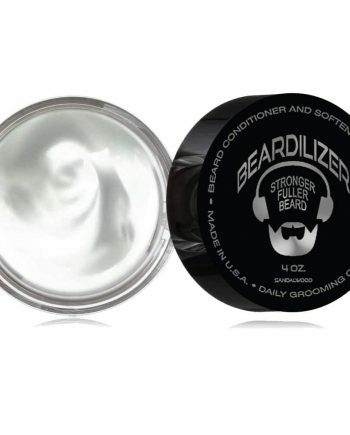 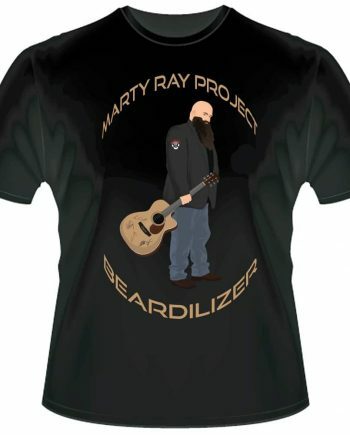 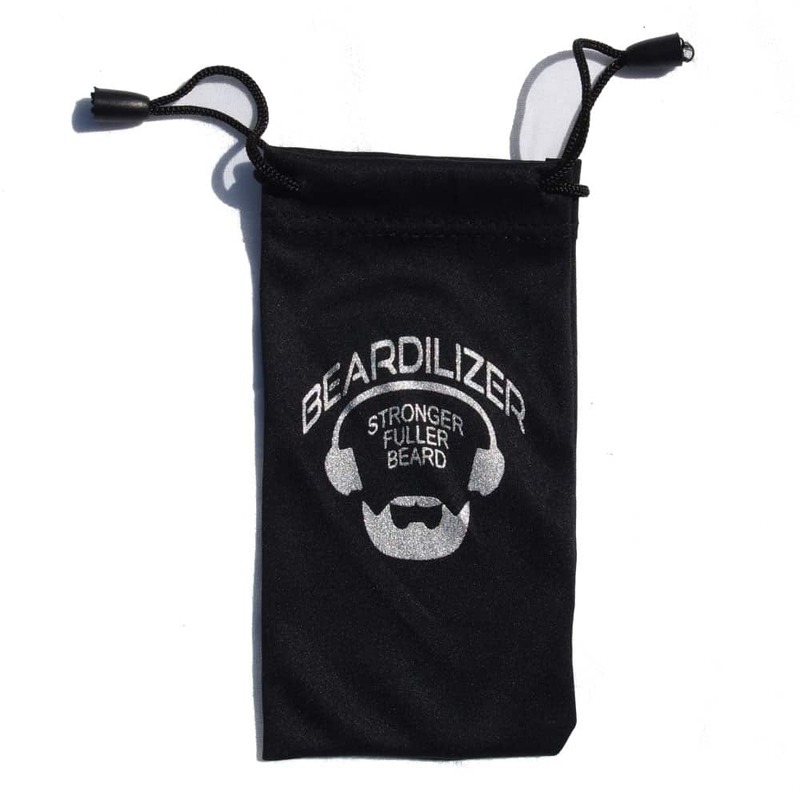 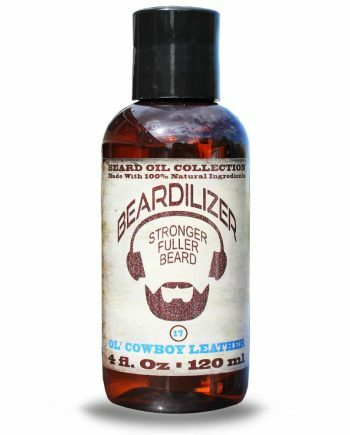 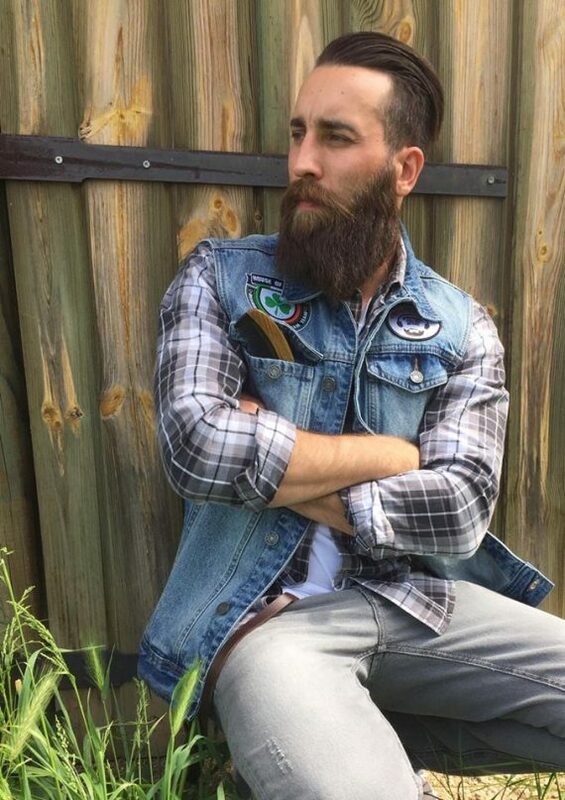 Our Beardilizer beard comp is the number one way to style your beard fast and easy. 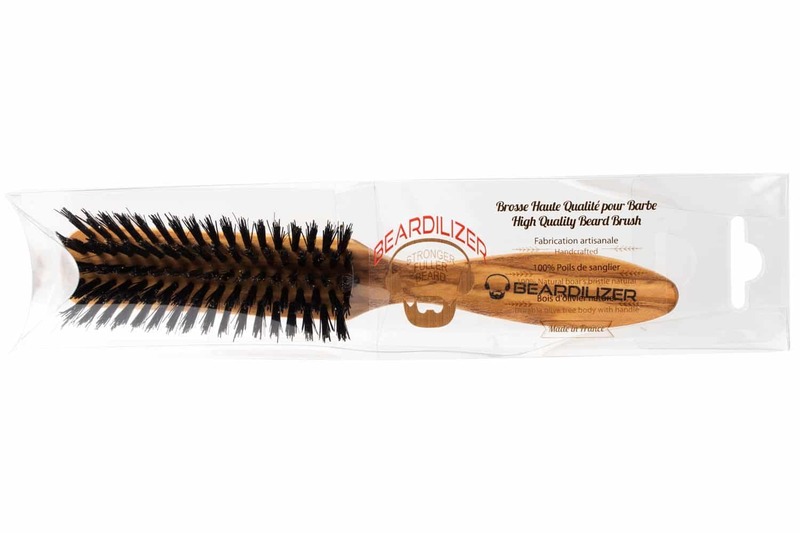 It is great for maintaining your mane on a daily basis. 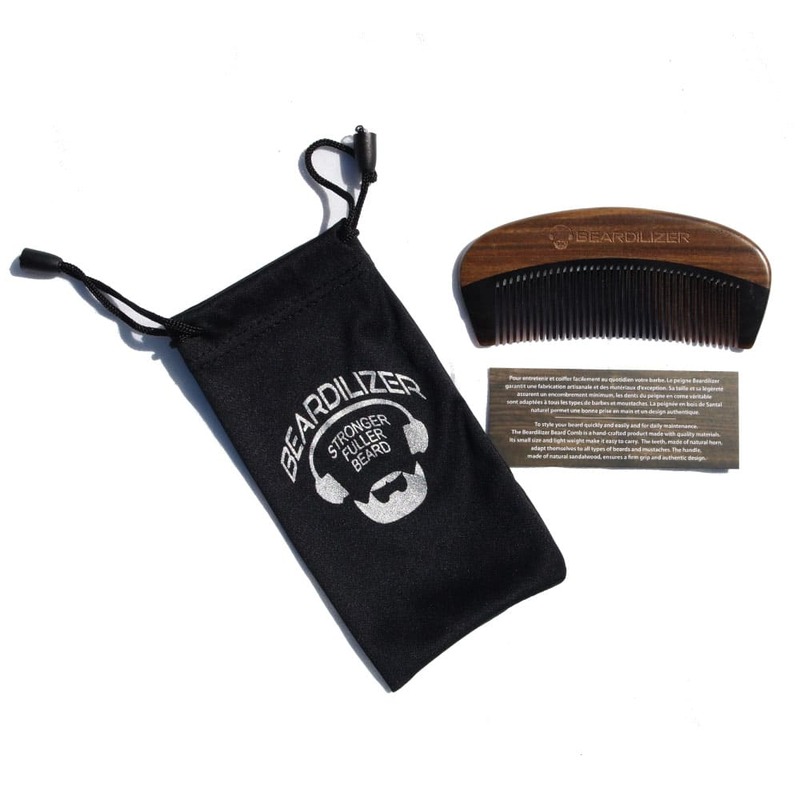 The Beardilizer Beard Comb is crafted by hand, made using only the highest grade materials. 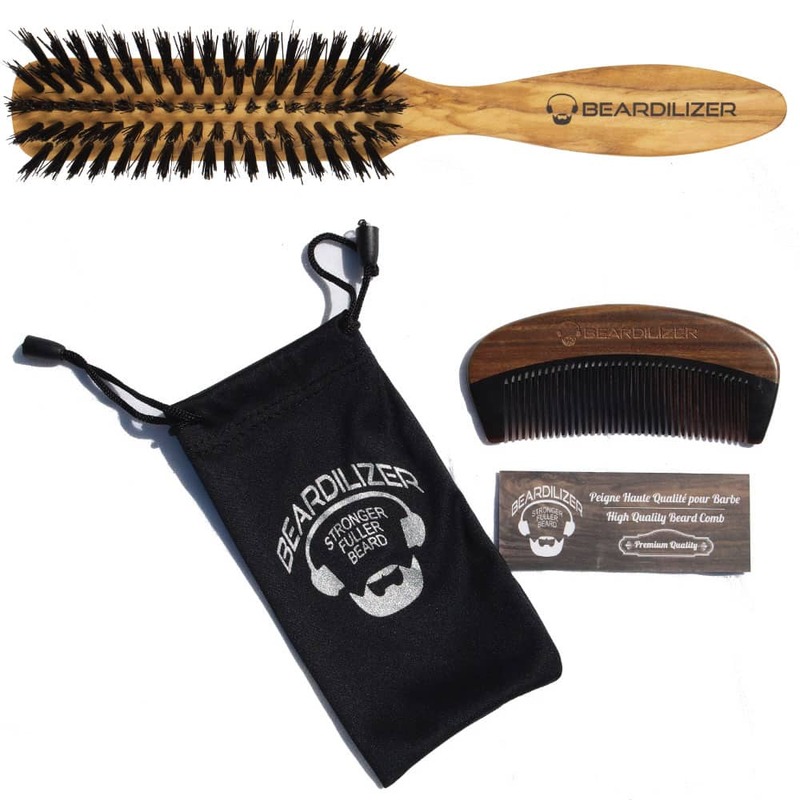 Our comb is small and lightweight, making it very easy to carry along with you no matter where you are. 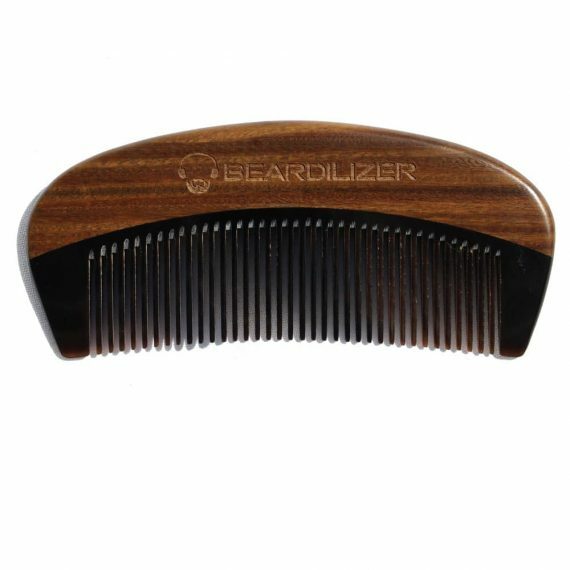 It features 36 teeth that are manufactured from natural black ox buffalo horn that are fully adaptable to every kind of beard and mustache. The handle, crafted from natural sandalwood, guarantees a strong grip. 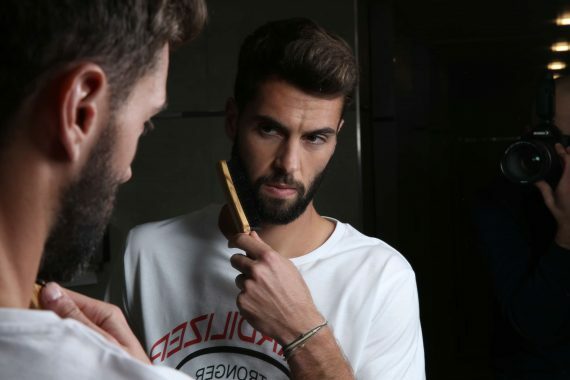 Several times a day, comb beard for 2 to 4 minutes in the direction of hair growth. 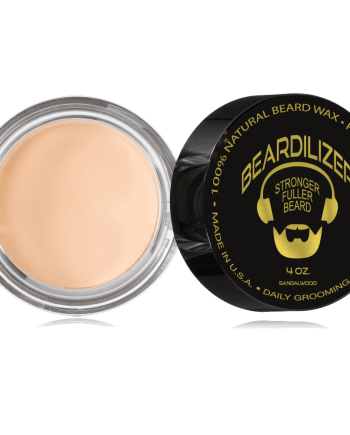 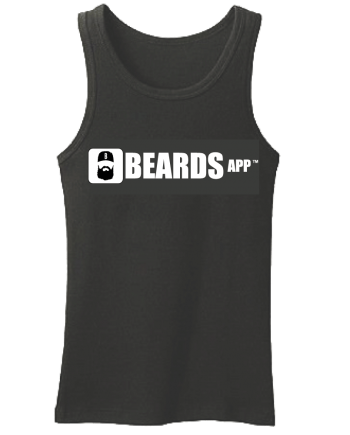 Can be used on dry beard or after applying beard oil or any hydrating solution.